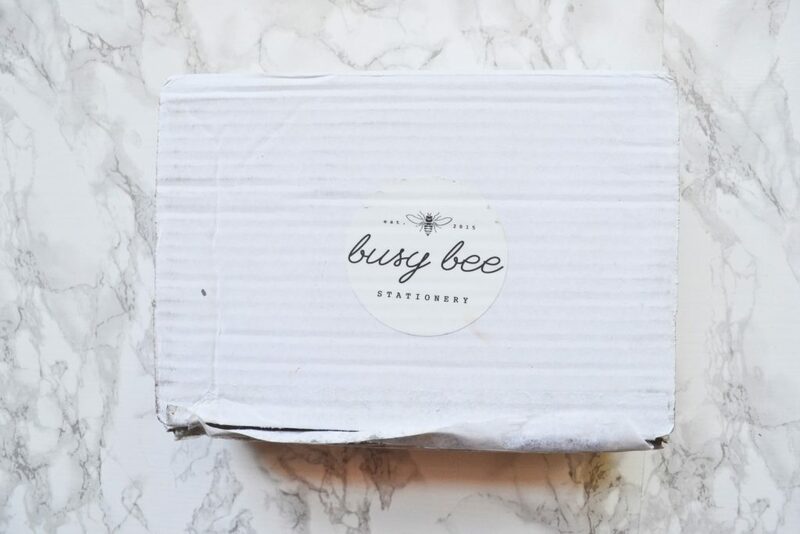 Busy Bee Stationery is a monthly surprise box of beautiful stationery. 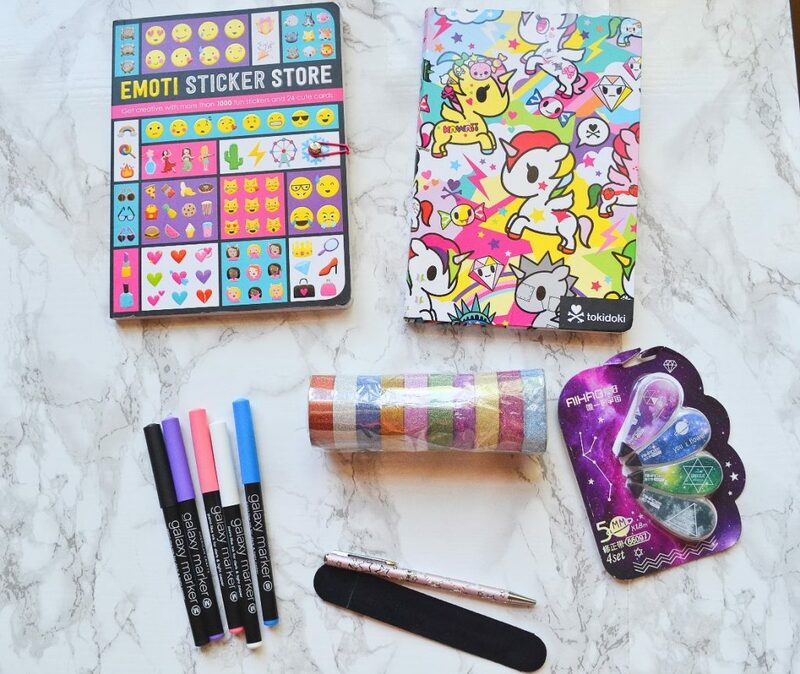 Each box is carefully curated to include items that inspire creativity and help you with your everyday writing needs. 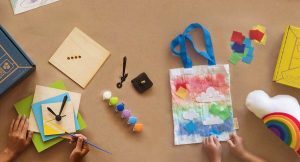 Each box typically contains between 5-10 items, and are always built around a theme, season, or a specific project. 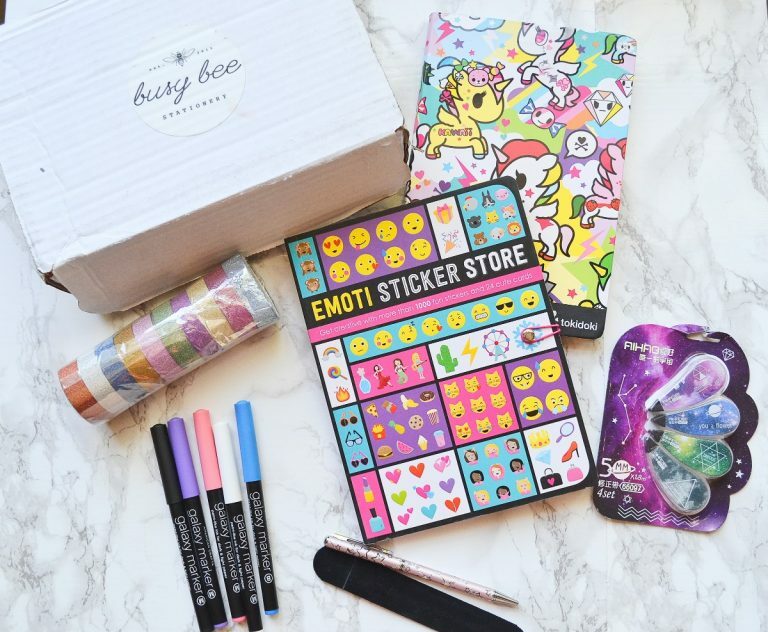 A month to month subscription costs $39, and shipping is free in the U.S.! 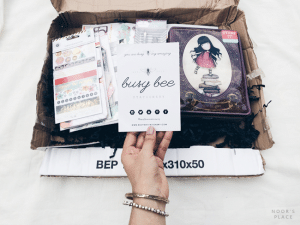 Today I will be reviewing Busy Bee Stationery’s September box. Here’s what the inside of the box looked like. There was no packaging material included, but all items arrived in perfect condition. 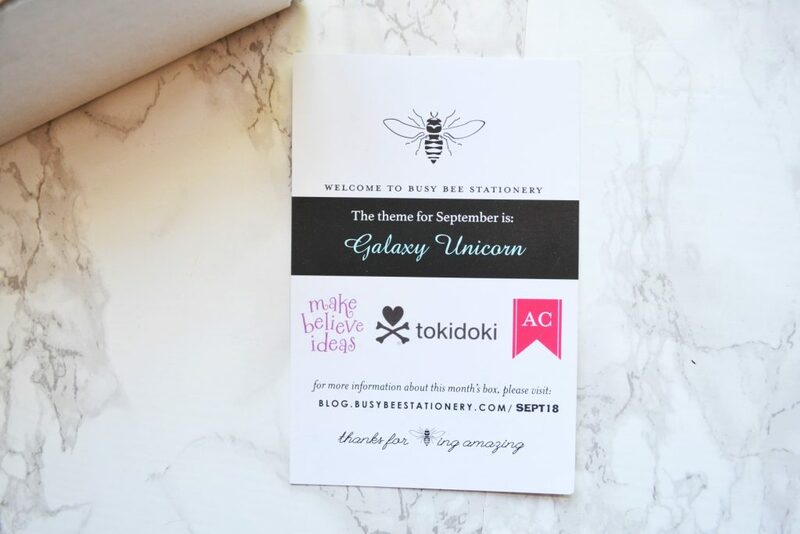 September’s theme is Galaxy Unicorn! 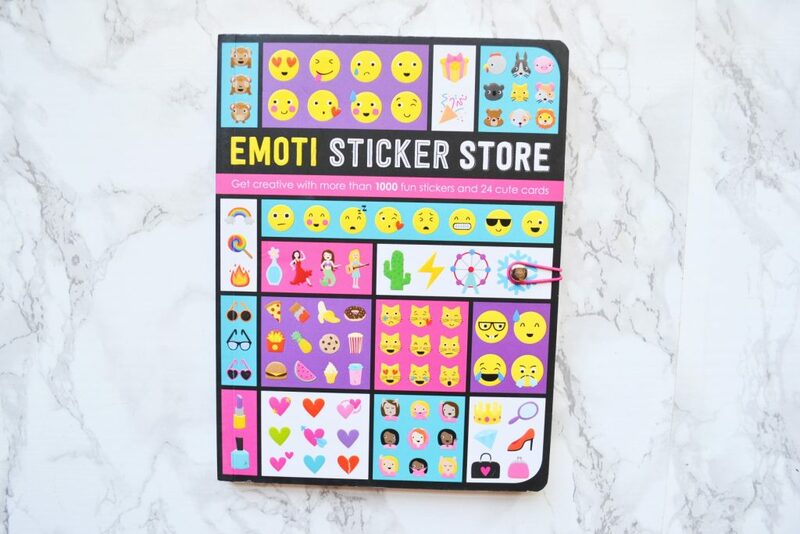 This little book is filled with over 1000 emoji stickers and postcards. I think this is so adorable! I plan on giving this to my little sister for her 11th birthday. I’ve noticed that she really seems to love emojis, and she will probably get a kick out of this. 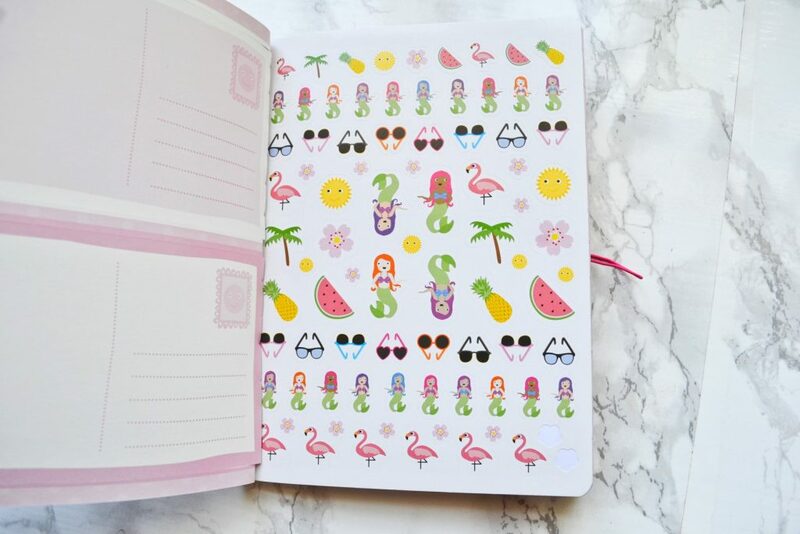 How cute is this beachy themed sticker page?! 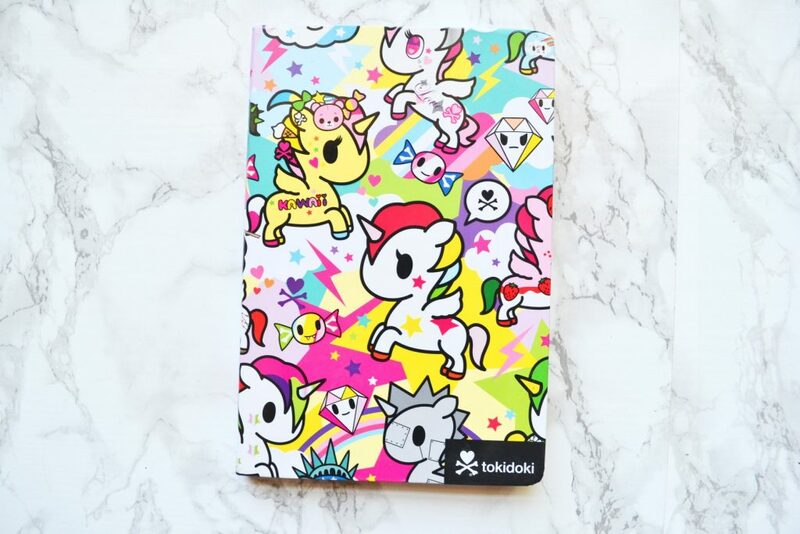 I’ve known about tokidoki for a while, but this is the first product of theirs I’ve managed to get my hands on. I have way too many journals, but I was still really excited to receive this! The cover is thick and soft, and the pages are lined. 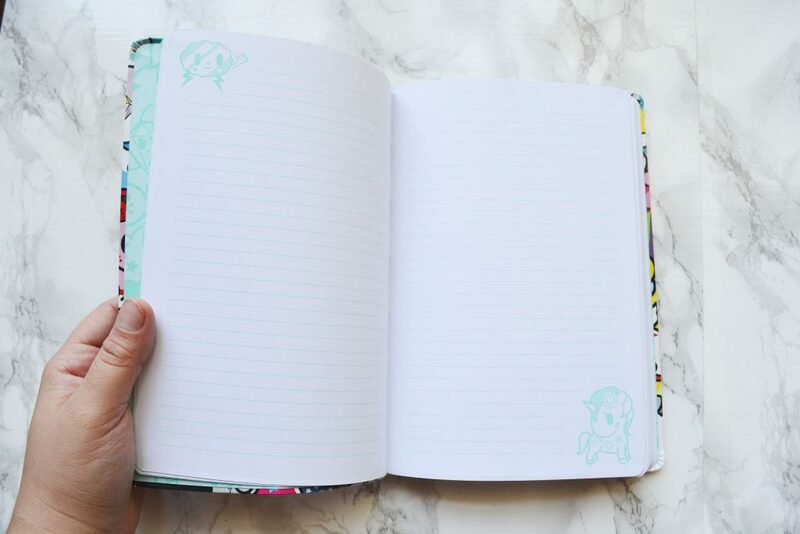 There are even cute little doodles on the pages! 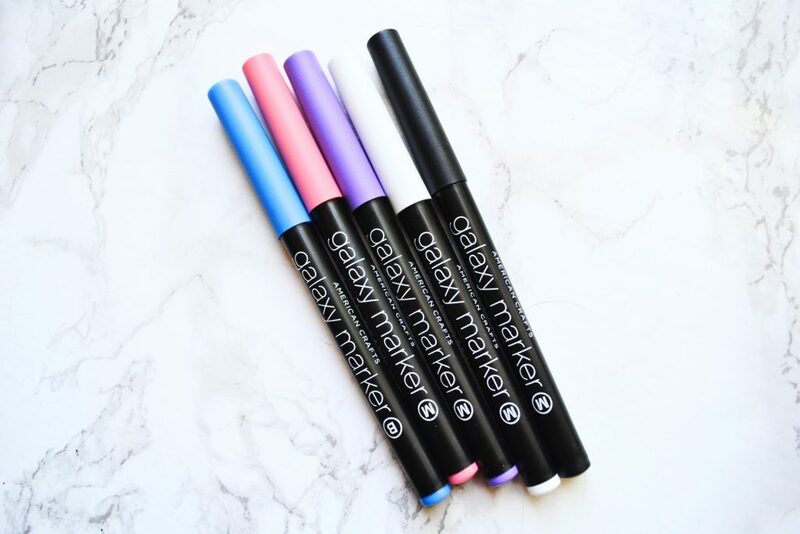 This month’s box included a set of five galaxy markers in blue, pink, purple, white, and black. 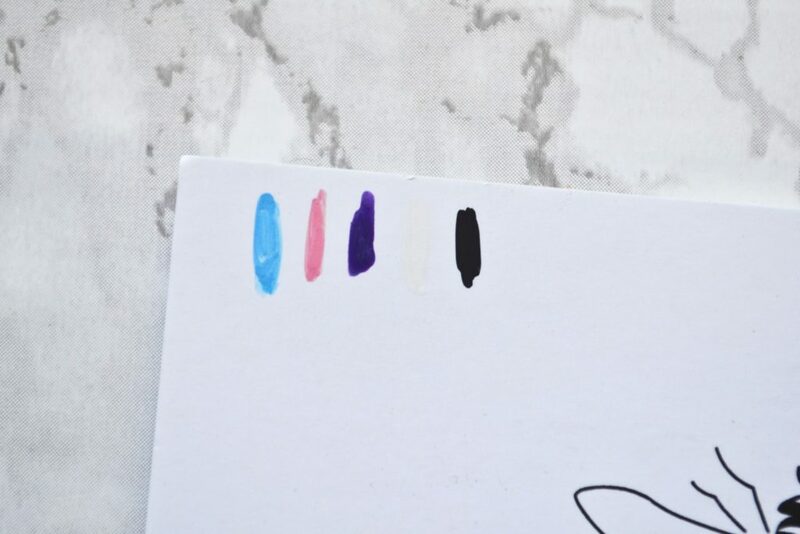 They show up on black and white paper and have a slightly chalky, opaque consistency. I’ve used the black marker a few times, and it doesn’t bleed through the paper. I love the pastel galaxy color theme, and I think these fit with the other box items really well. 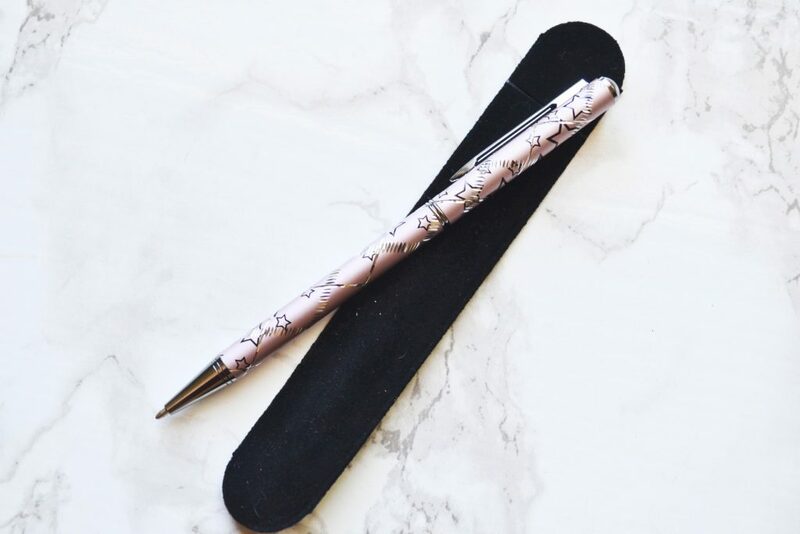 I don’t know what brand of pen this is, but I saw similar ones on Etsy for $4. This is a ballpoint pen that writes about on par with BIC, but it has a really cute star design! As a teacher, I can never have too many pens. 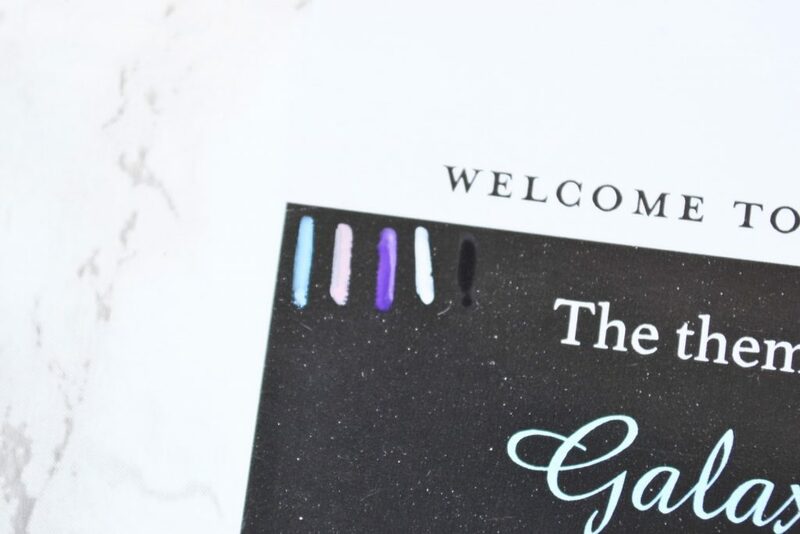 I’ve never used washi tape before, but I am already scouring Pinterest because I want to use these metallic little babies! 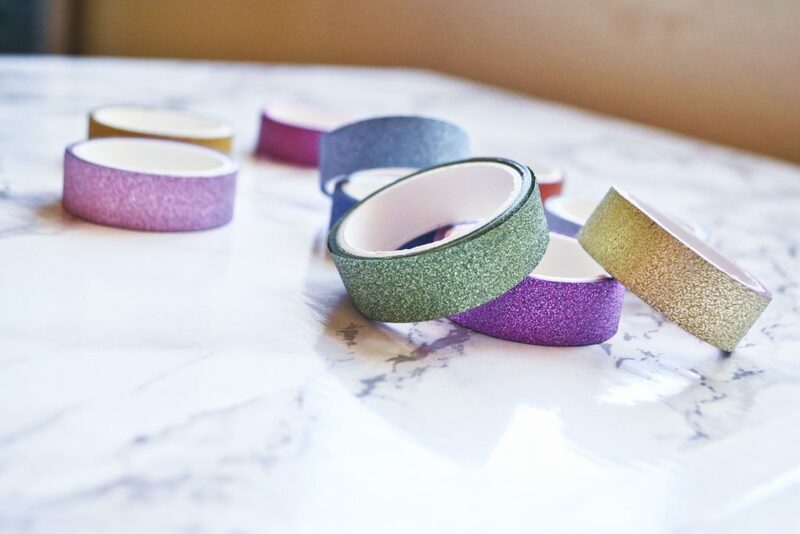 Busy Bee Stationery sent out a pack of 10 washi tape rolls, in shades of red, purple, blue, green, gold, and silver. The final item in my Busy Bee Stationery box was a pack of four correction tapes. 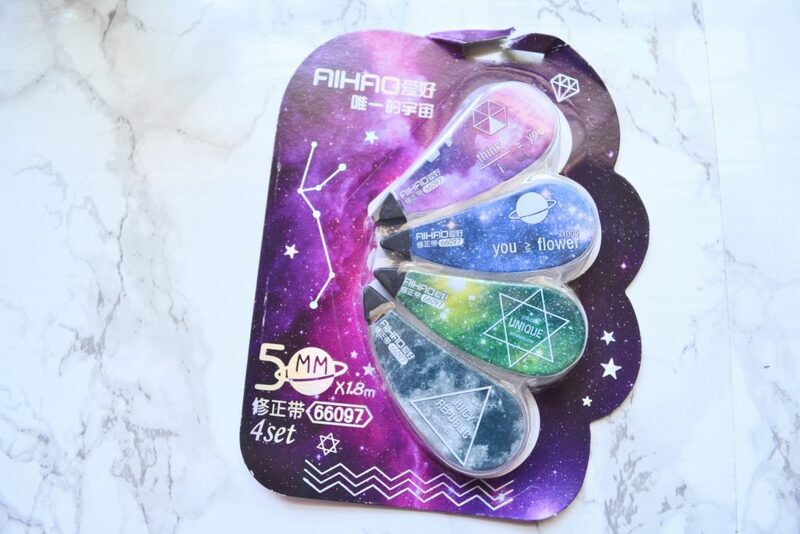 These are a Japanese product, and I feel like a few of the phrases on the tapes got lost in translation. For example, one of the tapes has the phrase Think divided by I = you, and another has You are greater than flower to the 1000th power. That being said, I am always happy to have some correction tape on hand! 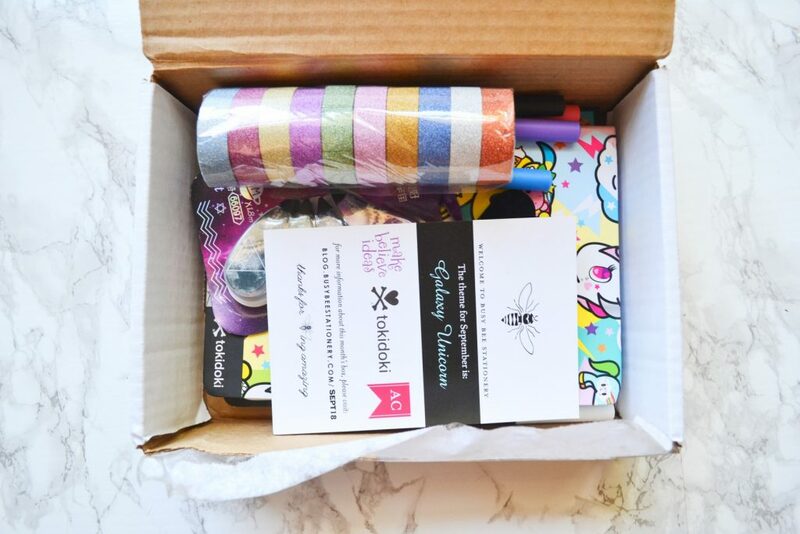 I think this month’s box was very cute, and I especially loved receiving the washi tape and the galaxy pens! 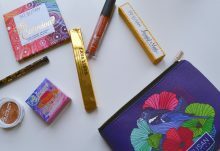 September’s box was worth about $41, which isn’t much higher than the box’s $39.90 price tag. You aren’t getting an incredible deal, but you are still getting what you paid for. 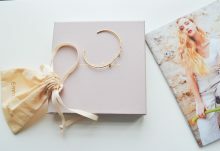 I believe this subscription would make an awesome gift, because of how well the boxes are themed and curated. 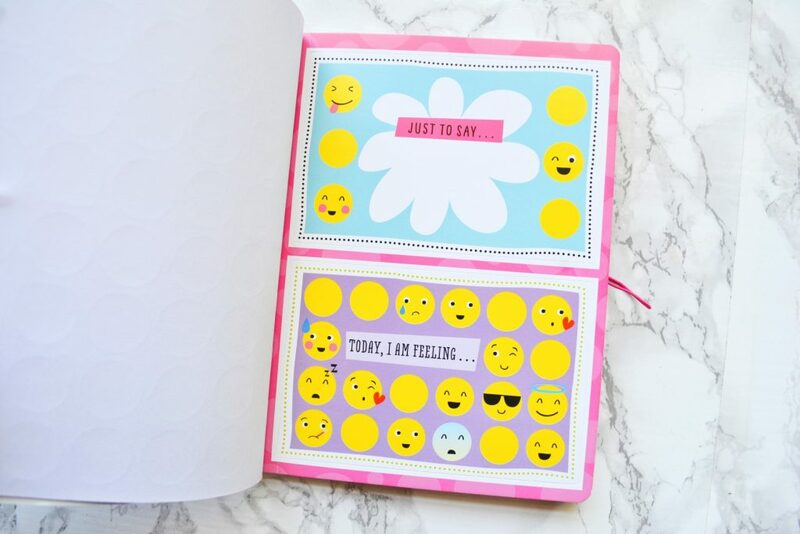 How would you rate Busy Bee Stationery ?